Everyone is getting all hyped over the idea that Nintendo wants to launch a 3D version of the Nintendo DS, and there is a lot of speculation about how this will be handled in a handheld device. While I am sure there will some super cool new way that the company is going to handle this, travel back in time with me to the summer of 1995 when Nintendo released a product that was so atrociously ill conceived that it led to the ouster of a top executive. 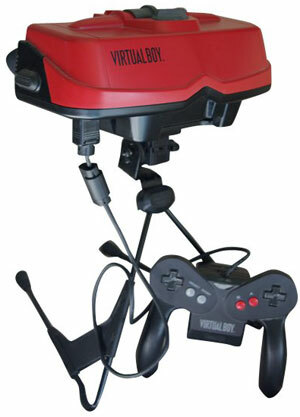 Yes, folks, it could only be … Virtual Boy. Playing off the name of its popular handheld Game Boy system, Virtual Boy promised to be some sort of immersive 3D gaming experience that would make you feel like you were playing in a whole different world. There were, however, several problems with the device, and I bet you can spot at least one of them by just looking at the picture included with this article. If your first guess was "cumbersome", you guessed correctly. You had to set the viewer up on a table to look into it while you played, and then you used the controller (which almost looks like the GameCube controller oddly enough) in your hands, but of course you could never look at it. Slightly inefficient in those early days of learning where all the buttons are on a controller. 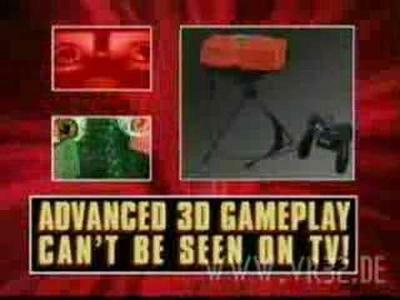 The next big problem with the device was that, yes, it showed games in 3D … but only in one color. As you can see in the ad video above, we aren't exactly talking high end gaming here in the visuals department. Needless to say, everything was working against the Virtual Boy from day one, and although it only launched in the summer of 2005, by early 1996 production ceased with only 800,000 units having been shipped. In total, only 22 different games were produced, with 19 of them appearing in Japan, and 14 appearing in the United States. The system was developed by Gunpei Yokoi, who had also been behind the Game Boy and worked on such game series as Donkey Kong and Super Metroid. While he had made Nintendo untold millions, apparently the complete disaster that was the Virtual Boy was enough to drive him out of the company. While I am sure the Nintendo 3Ds, which they promise won't require glasses, won't be such a disaster, it never hurts to look back at the past and learn from its mistakes … in other words, no stupid red thing on spindly legs!